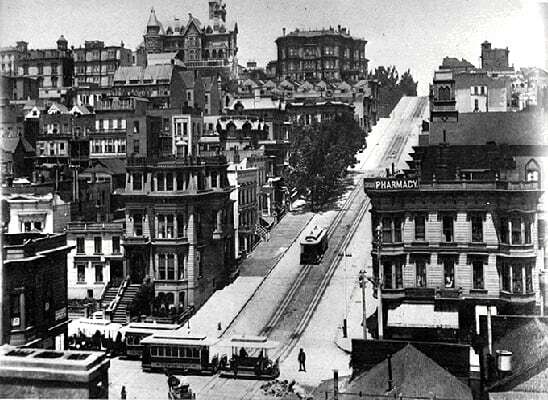 The area’s reputation of privilege dates back to Gold Rush times, when cable car lines made the hilltop accessible and the railroad barons and bonanza kings built their mansions there, far above the rowdiness of the bawdy waterfront. Luxury hotels now stand in the place of those original palaces, and when you hike to the top of the hill, historic buildings such as the Fairmont Hotel and the Flood Mansion are undeniably impressive. One of San Francisco’s oldest neighborhoods, Nob Hill was one of the original “Seven Hills” of San Francisco. Known in earlier years for its affluence, views, and gothic high-rise buildings, it still retains its original glamour but is now also home to many young urban professionals. 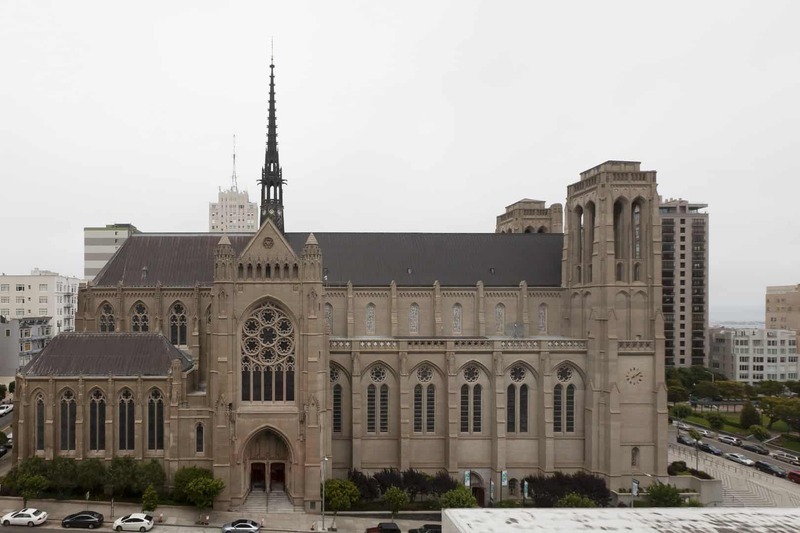 Huntington Park: After the 1906 earthquake and fire destroyed the grand home of Arabella Huntington, widow of railroad baron Collis P. Huntington, she donated the land to the City of San Francisco to be used as a public park. The classic square forms the heart of Nob Hill, and with its shady benches and children’s playground it makes an inviting place to pause after a hike up the hill. The Fountain of the Tortoises, a replica of one in Rome, features a mélange of cavorting turtles and nymphs and is lit by eight underwater halogen lamps that, during the holidays, are changed from clear to red, amber and green. At Jones and Taylor Sts. For generations, this small eatery has been delighting seafood lovers from all over the city. Distinguished by a marble counter and pull-up stools, the place puts all its attention on fresh shellfish, especially just-shucked oysters. You can also try clams on the half-shell, cracked crab, lobster, and shrimp, along with a few soups and salads. The place doesn’t stand out from the street, so keep your eyes peeled. And if you’re around during the lunchtime rush, you’ll most likely have to wait. If you’re in the mood for a throwback kind of seafood restaurant, where simple style counts, then head to Swan Oyster Depot. This Nob Hill brunch spot offers Bay Area diners a comfortable, bistro-style atmosphere and refreshing mid-morning eats. The menu is centered around fresh organic produce, much of which is gathered from local farms, and changes depending on seasonal availability. Olea only uses cage-free eggs from Glaum Ranch in the nearby town of Aptos. You can always find Olea’s signature dishes, however, including the challah custard toast and eggs baked in a cazuela. Or try eggs baked in a cazuela with tomato sauce, steamed farro spezzato, diced niman ranch applewood smoked ham and basil-almond pesto. No matter your order, a cup of Blue Bottle coffee makes the perfect addition. Named after four of the most famous railroad tycoons of the nineteenth century (C.P. 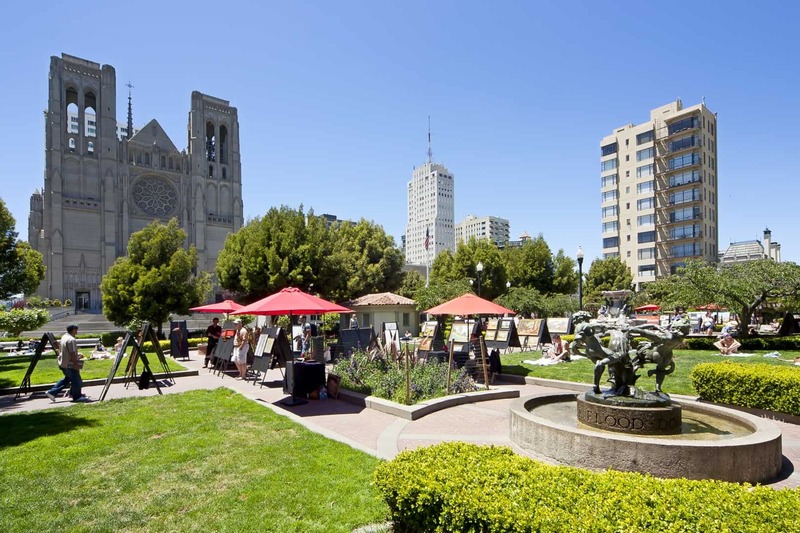 Huntington, Charles Crocker, Leland Stanford and Mark Hopkins), Big 4 Restaurant offers not only high-scale dining but a fascinating look into San Francisco’s history. Led by Executive Chef Kevin Scott, Big 4 offers meals only railroad tycoons could handle: Seafood Risotto with Maine Lobster Meat, or Rack of Lamb with a Rosemary Rub. Leave plenty of time either before or after dinner to wander the sumptuous hallways of The Scarlet Huntington, and your Nob Hill experience will be complete.